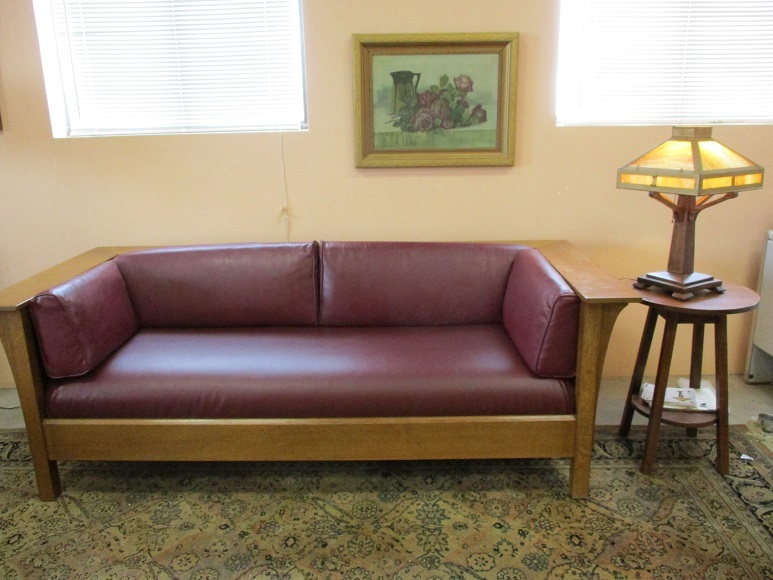 Contemporary Paneled Prairie Settle by the Stickley Co., gently used, approximately 15 years old. This is a comfortable settle in very good condition with nice quarter sawn oak. Back and side pillows are original to the settle and the seat cushion has been recently covered in a complementing burgundy naughahyde.